The St. John Cancer Fund was formally organized on July 19, 2012 with a mission to provide monies for St John residents in the fight against cancer. This fund was formed by a group of St. John residents who wanted complete financial transparency of monies raised as well as clarity of financial assistance to patients. There is no restrictions on how the monies are to be used by patients. 75% of our residents are small business owners and independent contractors. Most do not have access to corporate or government offered insurance coverage, and individual health insurance policies are expensive and restrictive. St John Cancer Fund mission is to invest in the health of our community, and the primary distribution of the funds raised BY St. John is TO St. Johnians. 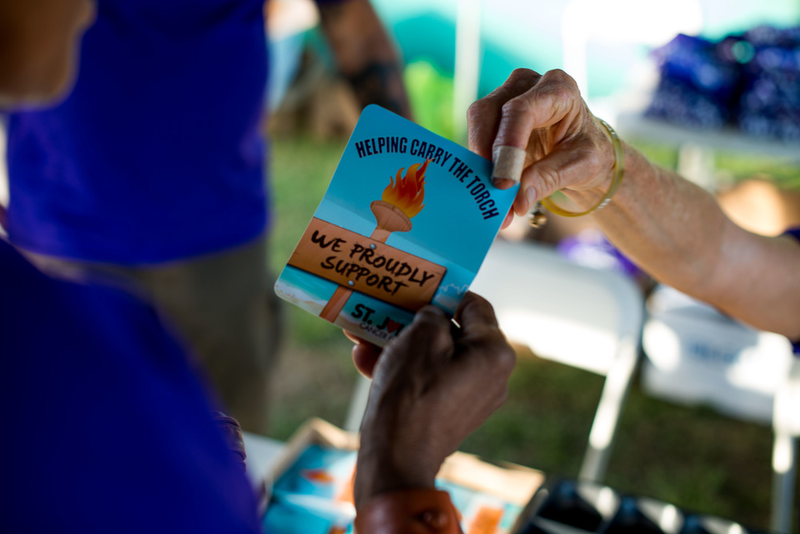 The St John Cancer Fund is managed by Community Foundation of the Virgin Islands ( CFVI ). With over 21 years of fund management, the advisory committee of the St John Cancer Fund found CFVI to be fully able to manage and distribute the funds most effectively. We urge all who are interested in helping plan fund raising events to become involved. St John Cancer Fund plans to host an array of fund raising events throughout the year. Individuals and businesses may contribute to the fund at any time.